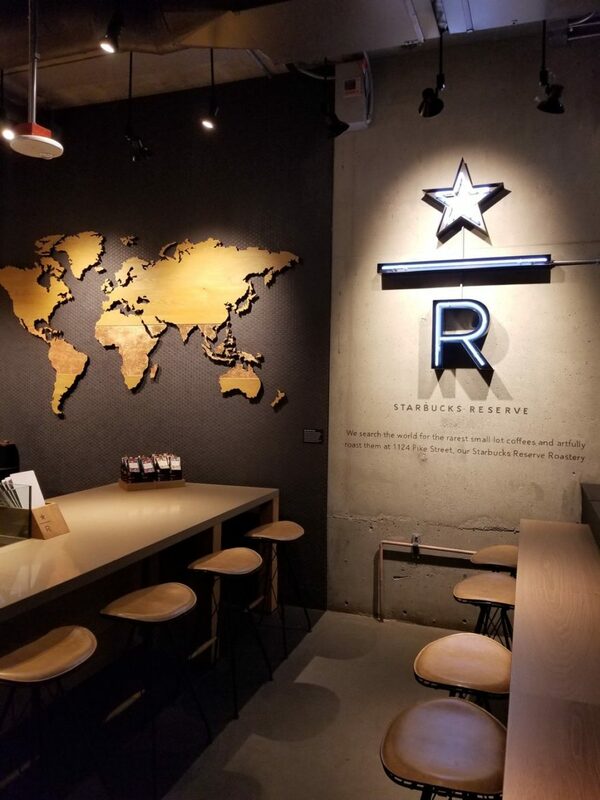 About one year ago, Starbucks opened up their first Reserve Bar in downtown Seattle at 1305 1st Avenue. Here’s my story from one year ago and another site’s article with some great photos of the Reserve Bar. 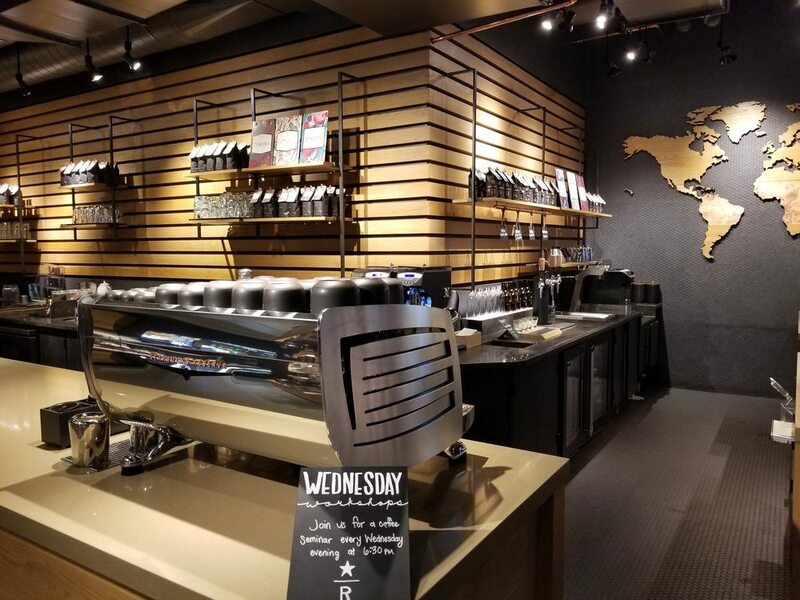 The “Reserve Bar” concept was intended by a hybrid store between a Roastery experience and a core store. 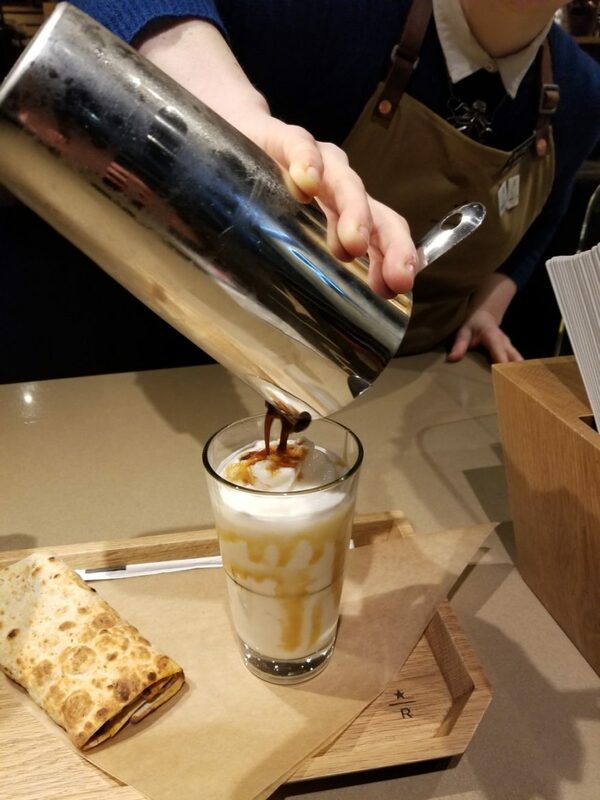 A Reserve Bar would offer both core beverage favorites like Frappuccinos and Caramel Macchiatos, as well as elevated brew methods and beverages, like the seasonal Juniper Latte. A perfect example of a “Reserve Bar” is the gorgeous Starbucks in Los Angeles at Hillhurst and Avocado. So what’s the difference between a “Reserve store” and “Reserve Bar”? 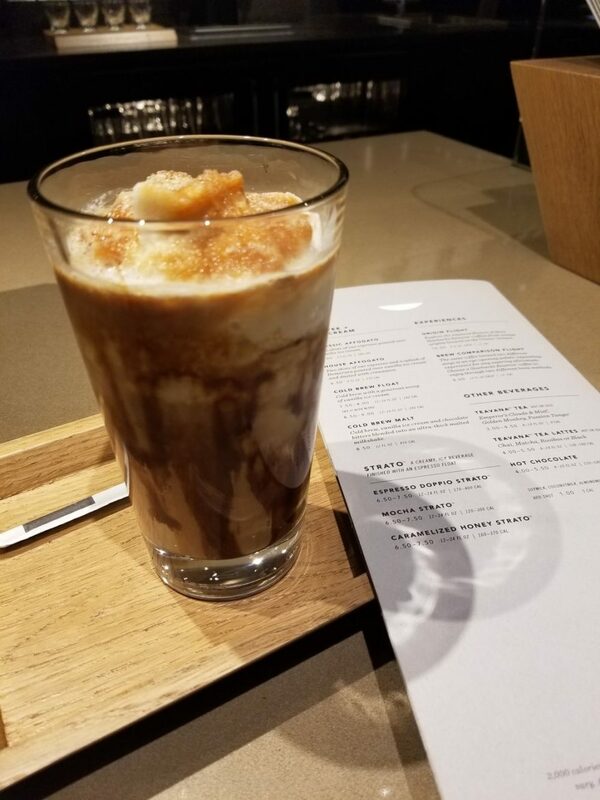 A Reserve store does not offer core beverage favorites and has only premium beverage offerings, inspired by the Roastery and more. You won’t find a Frappuccino, a cup of Pike Place Roast or a smoothie at a “Reserve store”. I know that many baristas work in stores which offer Reserve coffees. 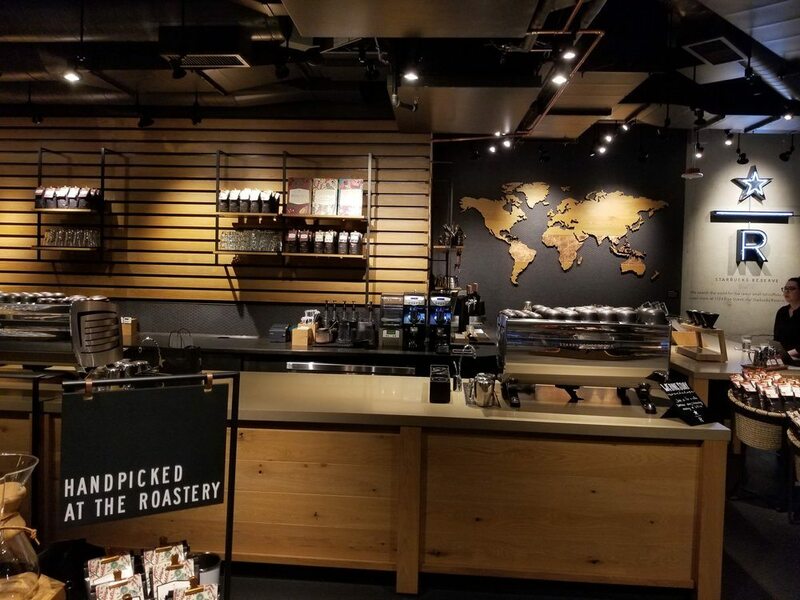 However, there are core stores with Reserve coffees, but that doesn’t turn them into a “Reserve store.” If you can buy a Frappuccino and a cup of Pike Place Roast at your Starbucks, you are not in a Reserve store. 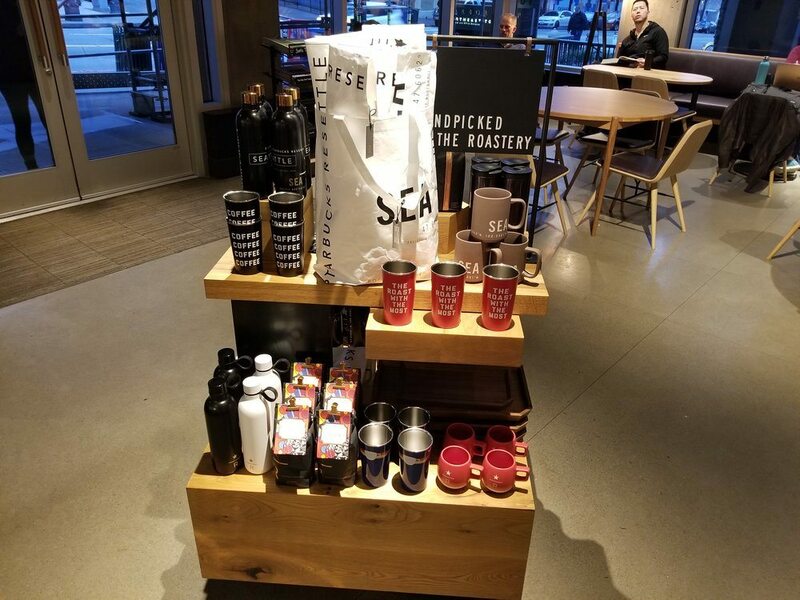 On February 2, 2018, Starbucks opened their first Reserve store. 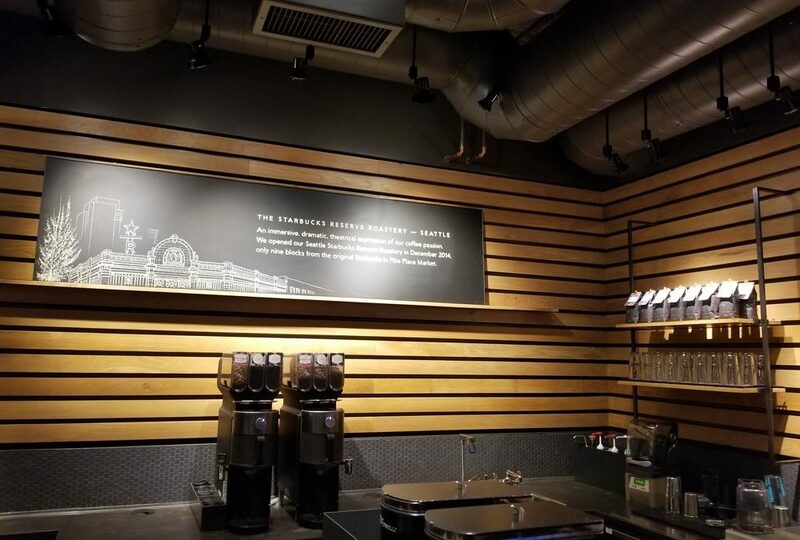 The Starbucks at 1305 1st Avenue in Seattle transformed into a Reserve store. It is no longer a Reserve bar. Gone are Frappuccinos, Pike Place Roast, Passion Tea Lemonades, and core Iced Coffee. The fact that Starbucks has introduced the Strato blended beverage is pretty interesting. It was in testing 2 years ago! ^ The above is the Caramelized Honey Strato (with my Spinach Feta Wrap adjacent to it). The Strato doesn’t have quintessential Frappuccino syrups in it. It is absolutely a lot less sweet than a Frappuccino. Enjoy a few more photos of this store! Notice that there are no menuboards on the walls and the brewed coffee by the cup comes from a Clover X machine. Every cup of coffee is made to order. The Clover X (in an early prototype stage it was called the Arrow) has been in testing for several years. 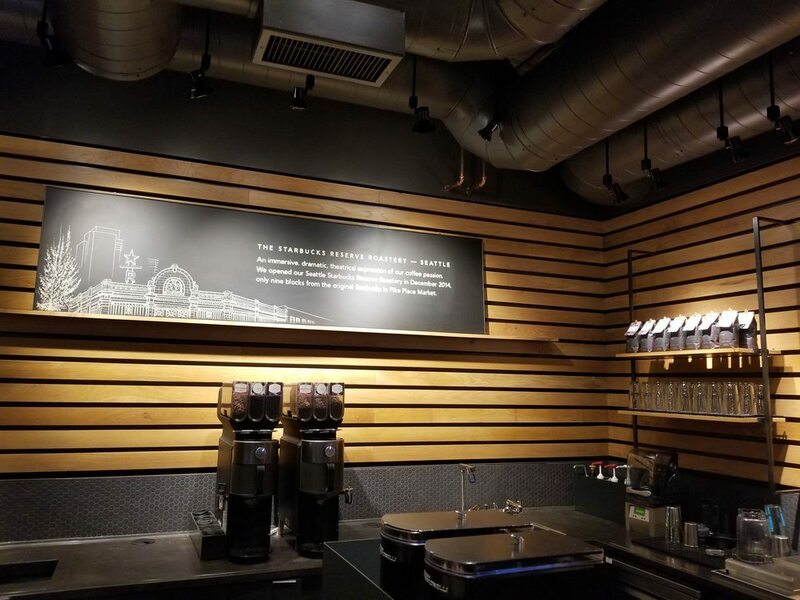 At the Columbia Tower Starbucks, you can visit one of the oldest Starbucks stores in the company, and the first Starbucks store to be Howard Schultz’s vision of the Italian coffee bar experience. The Columbia Tower Starbucks began as an “Il Giornale” which is a significant piece of Starbucks history. You can see the original Il Giornale logo on display at the Columbia Tower Starbucks. The current Starbucks logo is a bit of a marriage between the Il Giornale logo and the old 1970s brown logo Starbucks siren. 1st and University Starbucks From the Columbia Tower, one could walk to First and University. It is the most modern incarnation of that 1986 vision of Starbucks. So interesting to see where it all began, where the vision grew into a coffeehouse, and where it ended up modernly. From 1st and University, visit the Roastery and see where Reserve coffees are roasted, to be shipped across the United States to stores all over which offer Reserve coffees. From the Roastery, take a Lyft (or the number 49 bus) up the hill to Roy Street Coffee and Tea. It represents the vision of a true “learning laboratory” or “experimental” store for Starbucks. Many people don’t know they’re in a Starbucks when they visit Roy Street. 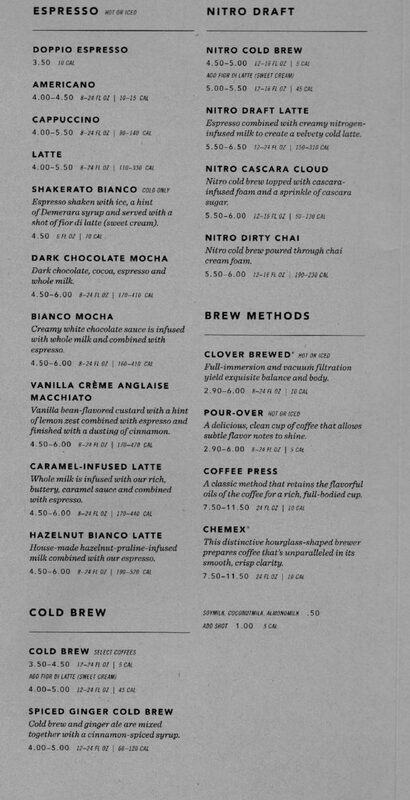 Roy Street is so unique from other Starbucks operations that it’s worth exploring. If you visit the 5 stores above, you’ll see something old, something new, something experimental and many things truly all about the coffee. Do you know the story of "Il Giornale" Starbucks? Interesting that the Clover X machines (which were rolling out chainwide in Canadian core stores a year ago) all disappeared by April… and are now resurfacing in the Reserve Stores! There is a siphon setup at this Reserve store, yes. It’s not captured in any of the photos, and I’m not sure why but it’s not listed on the menu, but I did see it there when I went to check out the store last week. Thanks… not that I’ll be in Seattle anytime soon … I’m glad the Clover X wasn’t totally abandoned, I hope that gets rolled out to other Reserve Bars too. Melody, looks like Toronto finally gets its real Reserve Bar, opens tomorrow, long overdue. I can’t wait to go there! More photos of our new Reserve Bar — looks like the one in Seattle!